Three cultivation methods are recognised: artificial shade, woods grown and wild simulated. Each growing method produces different results and consequently different market prices. Approximately 95% of the world's ginseng production occurs under artificial shade. Wild simulated is the cheapest growing method and produces the highest returns per dried weight yield. 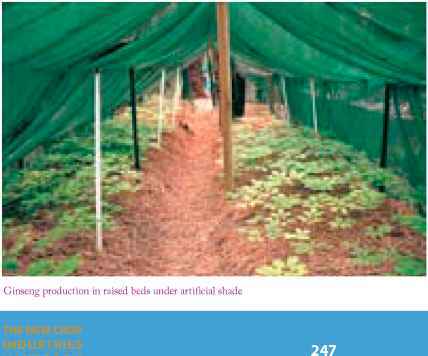 Ginseng production requires 80-90% shade, either natural or artificial. 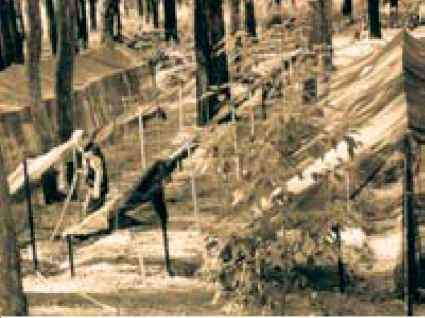 preparation in a forest setting is carried out manually with normal garden implements, although some small mechanical devices can be useful, taking into consideration obstruction from trees and their roots. Imported seeds are planted in spring/early summer. 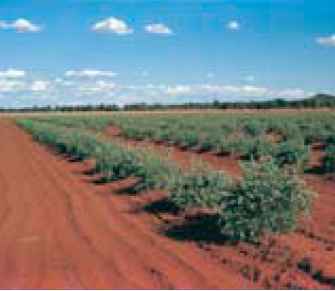 Australian-grown seeds are planted in late autumn/winter. After planting, mulch is applied to conserve moisture and to protect the plants from hard frosts. If shade structures are being used, frames should be erected but covering is not required until seed has germinated. To prevent damage by heavy snow, shade covers can be removed during winter. If required, install irrigation systems after planting. The plants are fully deciduous perennials with die-back in autumn and new growth each spring as the natural cycle. Weeding, re-mulching and addition of soil conditioners are part of winter maintenance. Application of fertilisers should be minimal to ensure better value crops. New beds for planting can be prepared in advance at any time. Apart from site preparation, planting, harvesting and drying time, approximately 100 hours/yr for each hectare of forest cultivation is required for maintenance. Artificial shade maintenance can require less time if it is mechanised. Plants reach maturity during their fourth or fifth year under artificial shade and after six or more years when grown under trees.